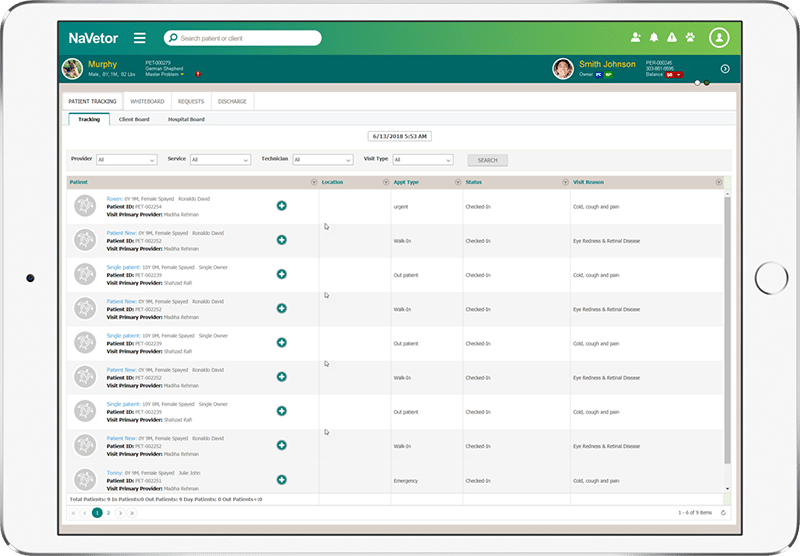 What Separates NaVetor From Other Veterinary Cloud Platforms? What? Another veterinary cloud software? Veterinarians have no shortage of practice management software platforms to choose from. Particularly when it comes to cloud software. Does the industry really need another cloud software program? There are already so many! Obviously we think the answer is yes … otherwise we would never have invested in creating a new cloud software program for the veterinary industry. We’ve heard, and seen, a few areas where other platforms fall short. So we built NaVetor using the latest cloud-based technology to fill in the gaps. Here are three areas in particular that set NaVetor apart. Most veterinary software platforms program their reminders according to frequency of treatments. Certain vaccinations, for example, are triggered once per year. The problem is, they need an invoice to be generated first, before the next reminder is triggered. This works fine for clients who bring their patients in regularly, but it doesn’t work so well for lapsed patients. When reminders are skipped over without a corresponding appointment, they’ll stop firing. Our approach – create reminders that are tied to a health service plan, not an invoice or a visit. NaVetor users can set up health service plans based on the breed and age of their patients, which establishes a series of reminders for every treatment needed throughout the life of the patient. Missing one visit doesn’t derail the reminders that create a full lifetime of health. Reminders are sent when needed, regardless of prior invoicing or office visits. We spent a fair amount of time just watching and observing busy veterinary clinics in action. Then we created workflows that minimize clicks and maximize efficiency and productivity. 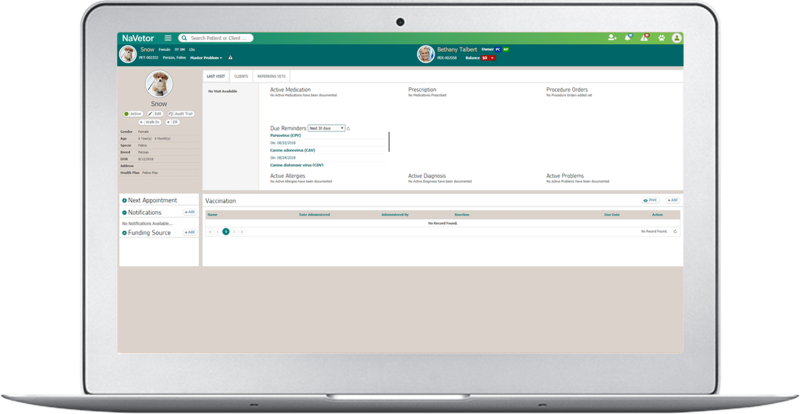 NaVetor also contains a Quick Jump feature that allows staff members to “jump back” to a prior patient if they need to add something to the patient record. Moving back and forth between patients is quick and easy. A third example: If a client is at the front desk waiting to check out while the doctor and technician are still in the back entering prescriptions, the front desk staff can easily see whether the client has been checked out. If not, they know to wait a few minutes until all prescriptions, treatments, and charges have been entered. Software platforms in the human medical industry are quite advanced compared with our veterinary counterparts. They really have to be sophisticated to comply with insurance companies, HIPAA, and other rules that regulate the industry. Electronic medical records and SOAP templates in veterinary medicine, on the other had, have been fairly limiting, without much customization capability. 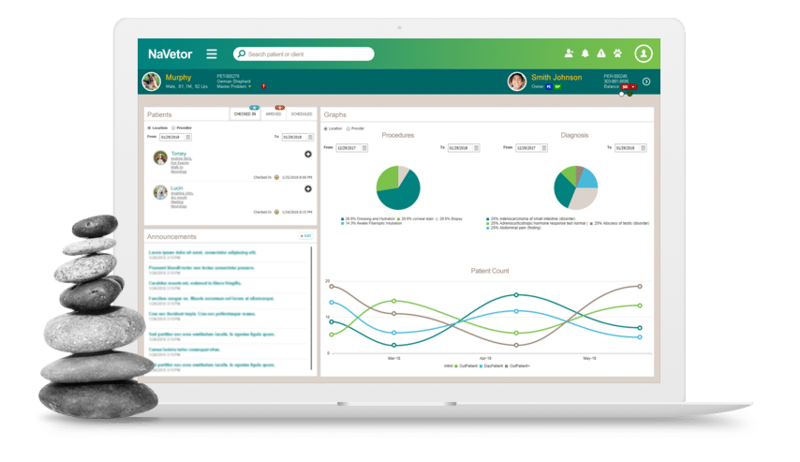 NaVetor borrowed some best practices from human medicine to make medical records more flexible. As veterinarians work through the SOAP in NaVetor, they can define templates by species and re-order how questions come up according to that veterinarian’s preference. Certainly, NaVetor has sample SOAP records that can be used right out of the box or edited slightly. But veterinarians who want to create their own SOAP record templates, can easily do so. Prescription medicine is another area where we got some inspiration from human medicine. NaVetor is built to allow veterinarians to create substitutions for different medications, such as generics for name brand. And veterinarians can have more flexibility in specifying the form, such as by the dose or by the vial. This becomes incredibly helpful in running reports showing which drugs are sold most. I’d just like a quick quote on what the cost is before I’m more interested.